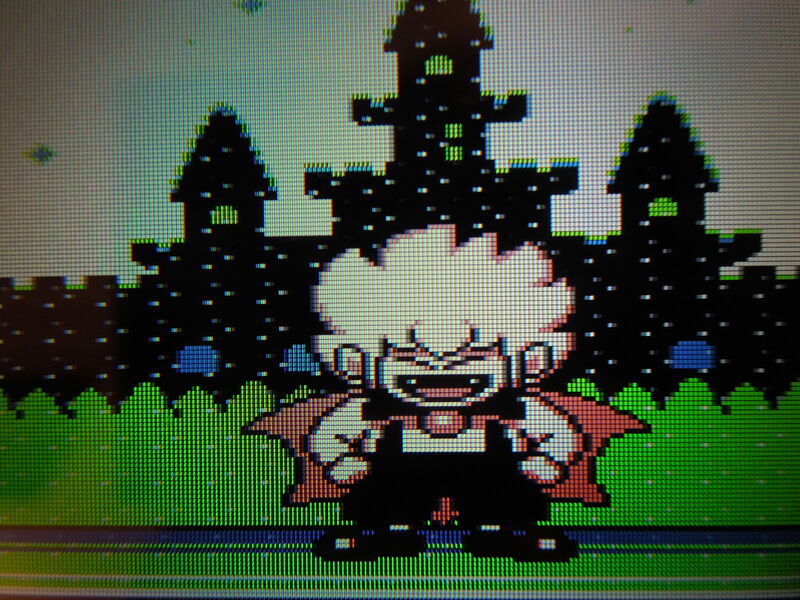 Playing Kid Dracula on a Game Boy Advance AGS-101 provides excellent color and lighting. Note 1: Want more Kid Dracula? Check out the prequel, I’m Kid Dracula! Also, if you enjoy platforming/action games, check out my reviews of Splatterhouse, Doki Doki Panic, and Super Back to the Future, Part II! 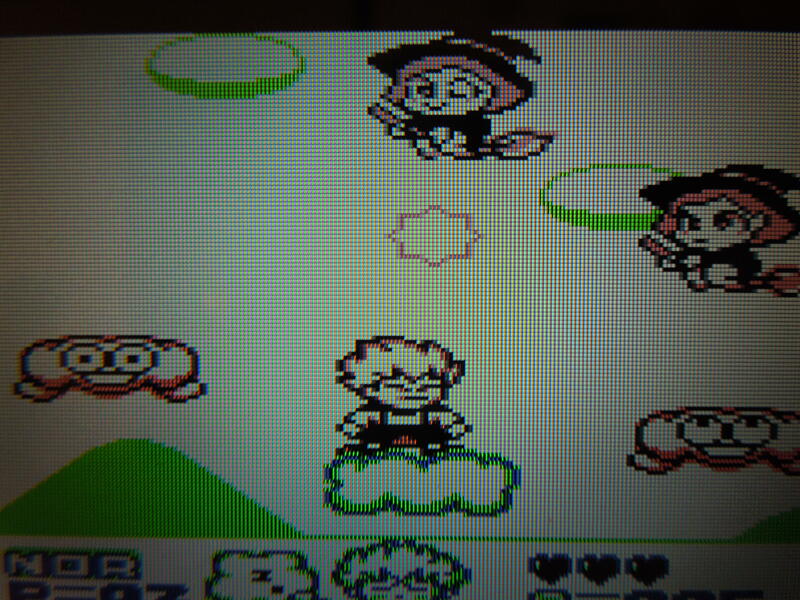 Note 2: This game was played on a Game Boy Advance AGS-101 model (the one with the really bright back light). Original Game Boy games like Kid Dracula are compatible with all flip screen Game Boy Advance handhelds, as well as original Game Boys and Game Boy Colors. 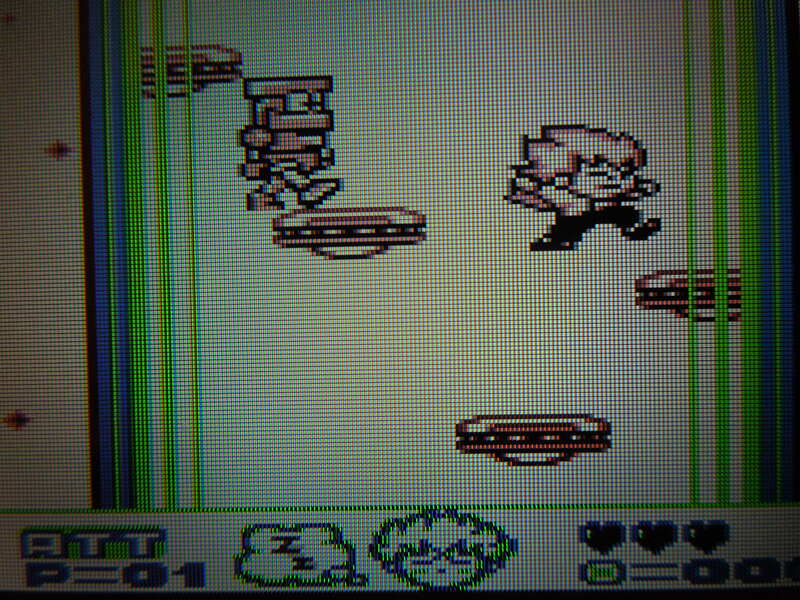 This game can also be played on a Super Game Boy on your television. 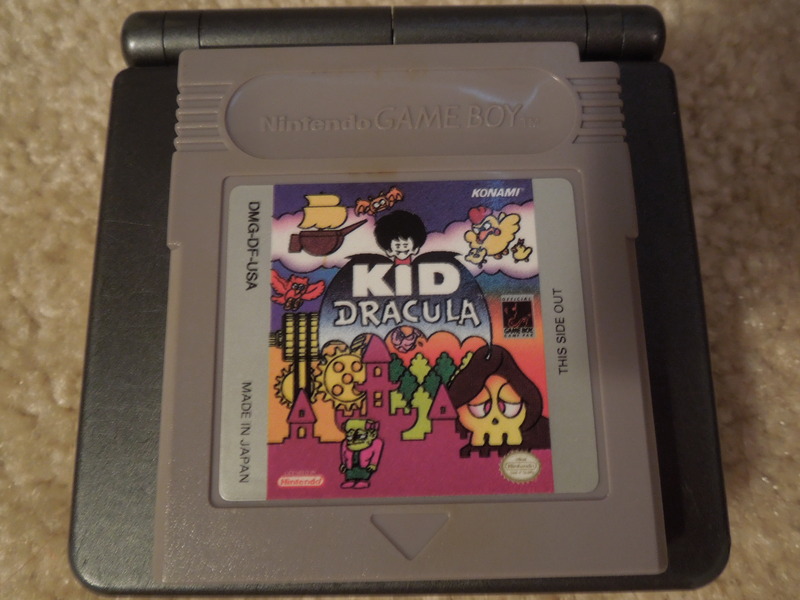 Quick History: This game is a spinoff of the popular Castlevania games for the NES and Game Boy, although many gamers who are familiar with Castlevania games are completely unaware of Kid Dracula’s existence. One of the tie-ins comes from this game’s main antagonist, Garamoth, who evidently appears as a boss in one of the Castlevania games (there are other tie-ins, too, that have something to do with the game’s Japanese title). The game was released in 1993, and is a sequel to the Japan-only release of Akumajo Special: Boku Dracula Kun for the Famicom (Japanese NES). Like the Castlevania games, Kid Dracula is a Platformer. Although the title ‘Kid’ is in the title, this was not a ‘just for kids’ game – not at all. It’s almost a light-hearted parody of Castlevania with super deformed graphics – it’s also rather tough. Story: Garamoth, Kid Dracula’s arch enemy, is up to no good, and Kid Dracula must stop him. Don’t you miss uncomplicated plot lines? Many of the enemies look friendly, but they definitely have cruel intentions. 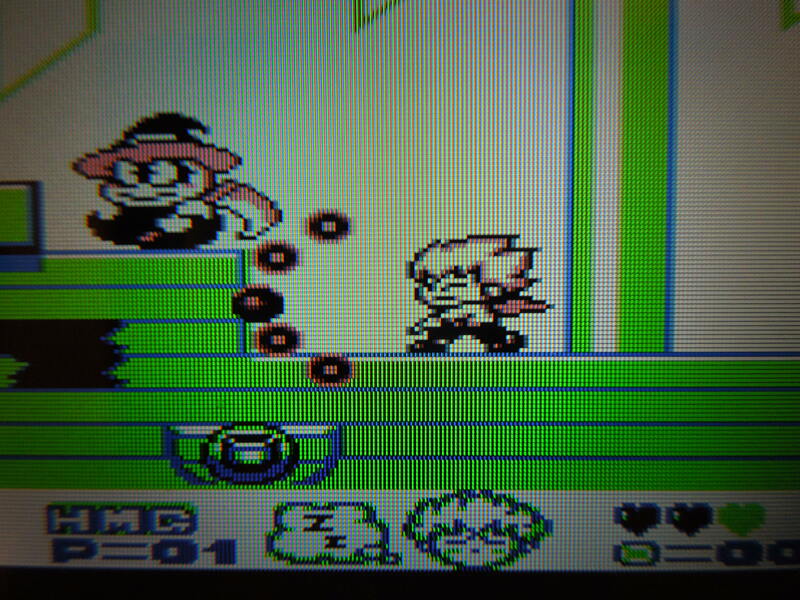 Control: As Kid Dracula was made for the original Game Boy handheld system, it only uses 4 buttons: Start, Select, B, A. B shoots a small fireball. Holding B for a few seconds causes you to flash, then releasing it fires a huge fireball (or executes a different spell you have selected – more on this in a bit). A jumps. Start pauses the game. Select switches among different spells you acquire. Because this is a platform game, you can duck by pressing down. Gameplay: You guide Kid Dracula through 8 levels, from a Clocktower Castle to a Roller Coaster to a Pirate Ship. Each level is made up of a few different areas. 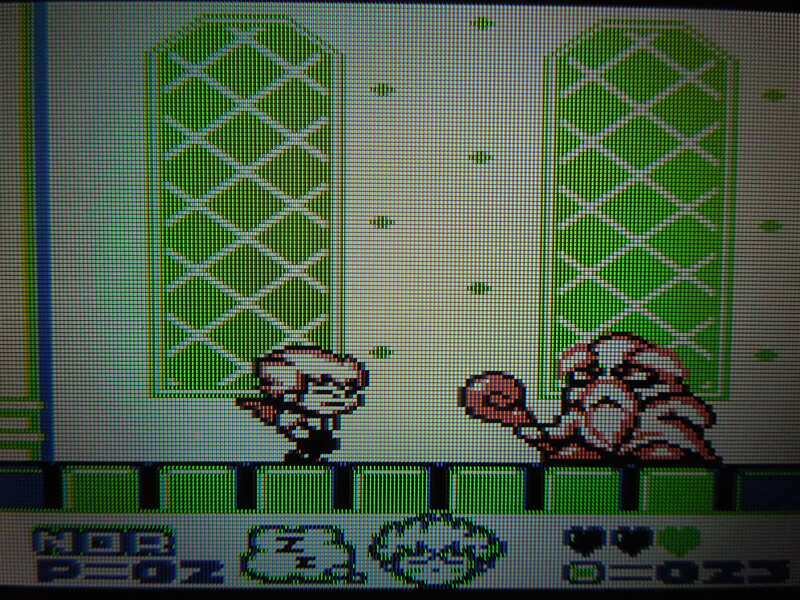 Along the way, you’ll encounter all sorts of bizarre enemies, that, like Kid Dracula, are drawn’in the ‘super deformed’ art style. You can shoot the enemies with your ‘Normal’ fireball, but you also learn a new spell after each level. Some of these spells are useful and you’ll use often, and some of them you won’t use much at all. One spell turns you into a bat, allowing you to fly for approximately 5 seconds; another allows you to walk on ceilings for the same amount of time; yet another spell fires homing missiles at your enemies. Activating spells is simple: just hold B until Kid Dracula flashes, and then release. 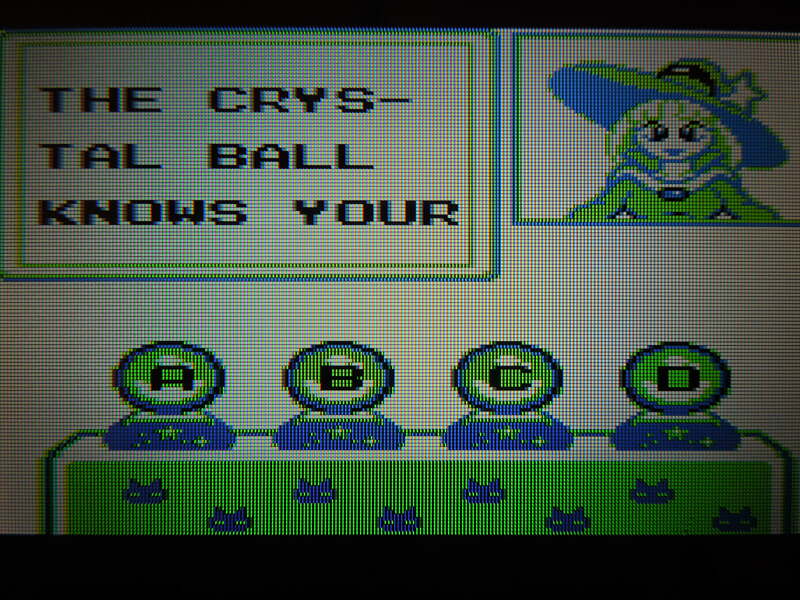 Pressing Select cycles through your spells, remember. Between each stage, there is usually a cutscene with Kid Dracula and his ‘counselor,’ Death, or his sidekicks, some bats – these advance the very simple plot. Sound and Music: This Game Boy cartridge has some great music on it. The very up-beat tunes work well with the ‘parody of Castlevania’ atmosphere. There are a variety of sound effects for the different spells at your disposal. You’ll learn a different spell after every level, like the Homing Missile Spell. 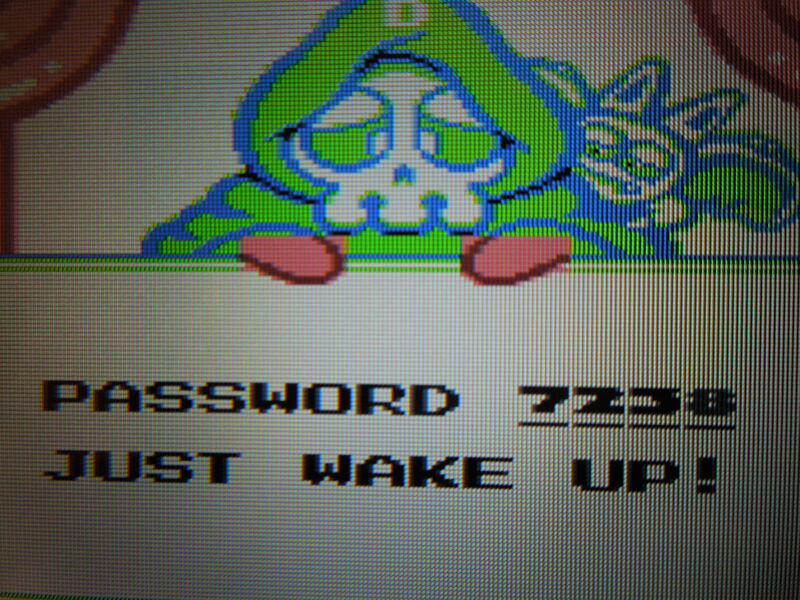 A 4-digit password allows you the luxury of not having to beat the game in one sitting. Coins: If you power up an attack shot by holding B and use it to kill an enemy, the enemy will drop a coin. Accumulating coins will allow you to play mini-games in-between stages for a chance to either earn more coins or earn extra lives. A good way to earn coins is to continue killing enemies, which will re-spawn endlessly if you walk away from where you encountered them and then walk back. Hearts: You start the game with 3 hearts, and lose 1 every time you take a hit. You can find heart containers, however, to bring up your total number of hearts. Your limit is 5. You can also find single hearts dispersed throughout the levels to restore 1 heart, or flashing hearts that will re-fill all of your containers. Passwords: This game has a simple 4-digit password system to allow you to pick up where you left off. Unfortuantely, if you’ve gained 2 heart containers and are at 5 total, or if you’ve gained 50 lives in the mini-games, they will be lost if you turn off the system, despite the fact that you can get back to a particular level by using the password. You’ll face a different bizarre boss at the end of all 8 levels. Difficulty: The first few stages are easy enough, but it gets tough soon enough. You’ll die a lot in some levels as you memorize the patterns of enemies and obstacles. Also, you can continue, but it’s limiting – if you lose all of your lives in Area 2 of Level 2, and then select to Continue, you’ll have to go back to Area 1 of Level 2. This game has what I’d call an ‘old school difficulty.’ It will push you and frustrate you (in the mostly good way), but it’s rewarding when you finally beat a challenging level. Between levels, you can play 1 of 4 mini-games to earn extra lives. So, where can I find this game? Ebay. 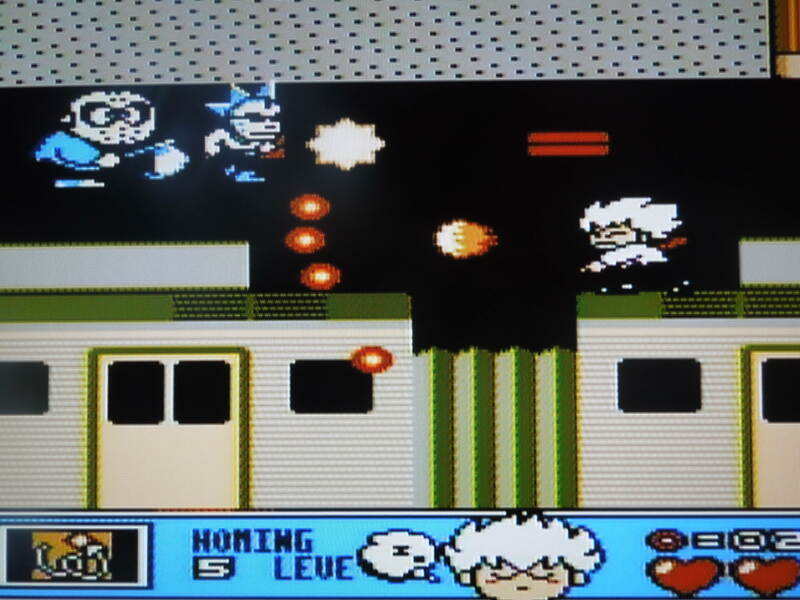 You can buy the Japanese version (if you don’t mind reading Japanese) or the North American version – both will play on your Game Boy, Game Boy Color, Game Boy Advance (not the micro edition), or Super Game Boy. You can also download the rom for play on an emulator on your computer. Conclusion: Don’t let the name or the super deformed graphics deceive you – Kid Dracula is a lot of fun, and no ‘kids’ game. It plays in a way that is similiar to the well-known Mega Man games for the NES, and it’s difficulty, while perhaps not on a Mega Man level, is certainly present, and you won’t cruise through this one in an hour. It takes practice and patience to beat Kid Dracula. As a game in the Castlevania series (ok, technically a spinoff), I prefer this to any of the NES or Game Boy Castlevanias. The elevator level is TOUGH. Expect to die A LOT before you make it to the top.